Don’t Miss These Must-See Places in St. Lucia! 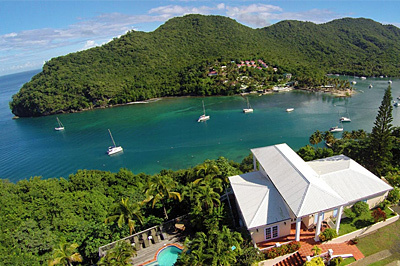 St. Lucia is one of those enchanting places that holds remarkable beauty at every turn. With such a mountainous and volcanic landscape, St. Lucia features some breathtaking scenery and topography, including an active volcano, some picture-perfect waterfalls, romantic coves, and of course, the famous Pitons Mountains! And if nature and landscapes aren’t all you’re interested in, St. Lucia also boasts some of the most idealistic-looking villages you’ll see in the Caribbean, as well as a vast history of wars between the French, English and natives embedded in every direction. We’ve outlined just some of the top places to see in St. Lucia that we recommend you giving a try, but we’re happy to say that there’s a lot more out there to discover. In fact, sometimes the best places to discover are the ones that aren’t listed in a book or a website, so we encourage you to get our and explore the beautiful island of St. Lucia! The Pitons are the most famous landmark of St. Lucia and as anyone would agree, a must-see while in St. Lucia. Luckily, they aren't that hard to see though, and there plenty of ways which you can get a great view of them or go explore them up close. If you're just looking to catch a glimpse and snap a photo, driving southward down the island towards the town of Soufriere will offer some nice lookout and photo spots along the road. 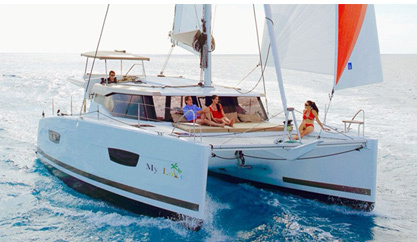 You can also get a magical view of the Pitons from the sea with our South Day Sail Tour. And for anyone who has a bit of adventure in them, hiking the Pitons is the ultimate accomplishment. Located in Soufriere and not far from the Pitons, there are the botanical gardens and Diamond Waterfall. There is a small entrance fee with the option of a guide - but we highly recommend going with a guide. They will walk you around the gardens and explain all the plants, flowers, and trees - an assortment of truly incredible beauty. You will then come to the picturesque Diamond Waterfall (named such for its sparkle of colors). Guests who take our South Day Sail Tour often visit the gardens during the lunch stopover break in Soufriere. Also in Soufriere is the remarkable active volcano. You can explore by yourself or with a guide, and see how the grey mineral-rich mud bubbles and boils from the ground. Be prepared for the smell though - the town of Soufriere didn't get its name by accident. (Soufriere means sulfur in French). At the volcano, there are also the volcanic mud-baths whcih you can bathe in and which are said to make you look ten years younger! Guests who take our South Day Sail Tour often visit the volcano during the lunch stopover break in Soufriere. At the north end of St. Lucia lies Pigeon Island National Park and its hilltop fort that was once commanded by pirates, the French, and later English in protecting the island. The park is a wonderful place to walk and explore untouched ruins from the fort and the real cannons that still sit atop the walls. There are also some lovely and quiet beaches located within the park that you can visit. 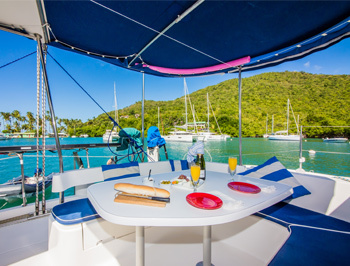 Our North Day Sail Tour brings you up to Rodney Bay where many guests like to explore the park during the lunch stopover. You could also hire a land or water taxi to take you to the park for as long as you wish. This is a wonderful photo opportunity if you don't miss it! You may recognize this characteristic hole in the rock - called Lover's Rock, or Lover's Cove, which was seen in the films, Pirates of the Caribbean. There is a great view of the rock along the Millennium Highway running along the west coast of St. Lucia, but you need to know where to look, so if you're in a taxi, ask the driver to point it out to you. A great way to explore it further is to rent sea kayaks and go along the coast to see it close up! Every Friday night in Anse La Raye the locals host a 'Fish Fry Festival'. It's an incredible experience and a wonderful way to explore and immerse yourself in some of the local island culture. The festival is equally welcoming to locals and tourists, so you'll see a diverse mix of faces there. We offer round-trip excursion to the event; our driver will take you there, stay with your party, and then drive you back to Marigot Bay. Enjoy delicious fresh fish, lobster, and more local cuisine. Another fun thing to do is to go explore the Castries market from Monday to Saturday when all the vendors are out with their abundance of local produce and handmade treasures. 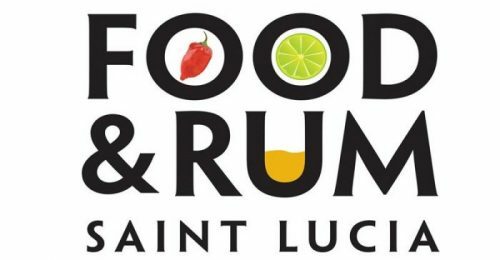 If you're just starting your stay, this could be a great opportunity to go do some groceries for the week, immersing yourself in the true Lucian culture! There's all kinds of unique handmade arts and crafts, as well as spices and seasonings, that can make for great souvenirs. You can always have a taxi take you there anytime you wish, but we also offer an organized Castries Market Tour. Listed as one of the top activities on the island on TripAdvisor, the Tet Paul Nature Trail is a wonderful little hiking trail in Soufriere that provides one of the best views of the Pitons you can find. Plus there are many other interesting sights and wildlife along the way. The trail is very popular as it's a quite easy hike to get to the Pitons view, but if you wish to keep going from there, you can! 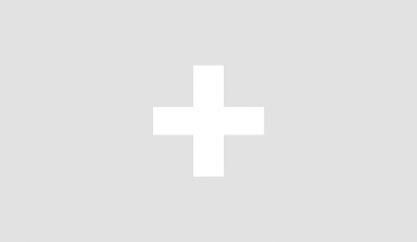 Find more info on the Tet Paul Trail website. If you're not already staying the area, Marigot Bay is definitely one place in St. Lucia you need to go see! It's been called "the most beautiful bay in the Caribbean", and for good reason. Ridgelines encircle the bay with lush rolling hillsides tumbling down to the clear blue waters, with a characteristic sand-spit and beach jetting out from the north side. There are plenty of amazing restaurants in the bay where you could enjoy a lunch or dinner, as well as activities like water sports and the beach. Another beautiful waterfall you can go see - and swim under, is the Toraille Waterfall located right next to the volcano and botanical gardens in Soufriere. On a nice day, you can go have an invograting shower under the falls. There are also sulfur springs which you can bathe in to feel a bit younger. This activity could be done while on the lunch stopover of our South Day Sail Tour, or as a separate excursion by taxi. Looking for a long sandy, beautiful beach to spend an afternoon? La Toc Beach is one of the nicest beaches on the island, and is also home to the Sandals Regency Resort. So a nice option if you're staying at one of our villas in La Toc, is to get a day pass at Sandals to enjoy their spa, restaurant, beach chairs, golf, or water sports. But like every beach in St. Lucia, the beach is public so anyone can go enjoy it! At least with a private villa rental in the area, you maintain the authentic, private experience of a villa, but can still enjoy some of the amenities of the resort! 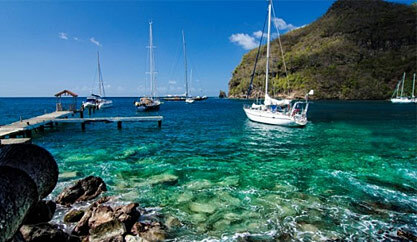 In our opinion, one of the most picturesque villages in St. Lucia. Canaries is a small fishing town on the west coast of St. Lucia, which you'll surely pass through if you're doing any sort of driving between Marigot Bay and Soufriere. Keep an eye out for some of the little viewpoints along the road when approaching the village. They make for excellent photo opportunities to capture the town and all its Caribbean-colorful homes. Rodney Bay is located at the north end of the island next to the Pigeon Island National Park. It could likely be called the most "lively" area of St. Lucia with many people out and about, enjoying the huge sandy beach and all the fun water sports, a big mall and shopping district, and an abundance of great restaurants and bars. It's definitely a place to see if you like a bit of action. You can sample a quick visit to Rodney Bay on our North Day Sail, which is where we anchor for the lunch break stopover for a couple hours. Or you could always just take a land or water taxi to visit the area for the day. A must-see on your St. Lucia list should definitely be one of the cocoa plantations in the south of the island near the Pitons and the town of Soufriere. Cocoa production plays a huge role in the history of our island, and it's also a wonderful experience to see how delicious chocolate is produced from the tree pod to the drying racks to a finished cacao stick. There are a few plantations you can visit, and we can organize transportation to the premises for you from wherever you are staying. Consider Morne Coubaril Estate or Fond Doux Estate which both offer plantation tours into the process of making cocoa. Anse Mamin is a secluded cove and beach located right next to the more popular cove of Anse Chastanet (also home to the Anse Chastanet Resort). Well, from the Anse Chastanet beach, you can walk along a path that takes around the rocks to the next bay of Anse Mamin. Here you will find a more quiet and peaceful beach and wonderful reef for snorkeling. Just slightly inland from the cove is where the Jungle Biking tour takes place. So you can visit Anse Mamin on your own accord, or if you try the Jungle Biking Tour they give you some free time at the beach to enjoy with complimentary snorkeling gear. Most travelers stay along the west coast of St. Lucia and never really explore too deep into the interior besides through a zip-lining tour. But in the heart of St. Lucia there is a beautiful, lush rainforest with creatures and sights you won't see elsewhere. We recommend the Jacquot Trail, which can be done on your own for a small entrance fee or you can hire a guide to show you the forest. If you have a special interest, like birding, you can also hire a specialized birding guide (which we can recommend). This is one of the few places you can witness the rare and endemic St. Lucia Parrot. 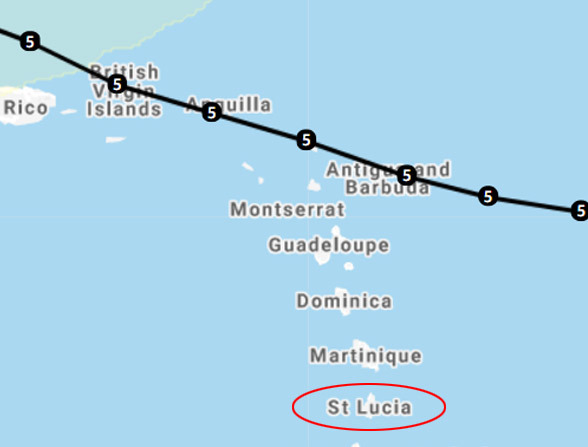 Dennery is a quiet fishing village located on the east coast of St. Lucia (Atlantic side). It's not as bustling with tourists but still a safe and interesting place to explore. It's primarily a fishing village, so there are some nice sights to see down by the water and the docks, like the fisherman coming in with their catch of the day. You can also watch them prepare the catch of fish, and can even barter with some of the fisherman for a great deal on seafood. If you're looking for a truly authentic Lucian experience, we definitely recommend taking a visit! It's not far from the rainforest walk entrance also talked about on this page, so it could be combined with the rainforest hike in a day's trip. This is a great little beach to visit on the day of your departure! It's located just 10 minutes from the airport, so once you check out of your villa, a great option is to come here for a couple hours to relax before heading to the airport to catch your flight - and as the airport is only a few minutes away, you'll rest assured about your timing. There's some wonderful little restaurants right along the sand, and the beach is most popular for wind-surfing, which is exciting to watch or even partake in if you have the time! (There's a surf shop on the beach as well). 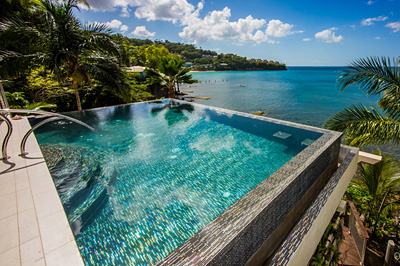 We like to think we've only just skimmed the surface in what there is to do in St. Lucia! This island is full of wonders, adventures, kind people, and beautiful sights around every corner. As is our whole mentality with "renting a private" villa for a more authentic experience rather than be confined to a Resort's grounds - we encourage you to get our and explore! 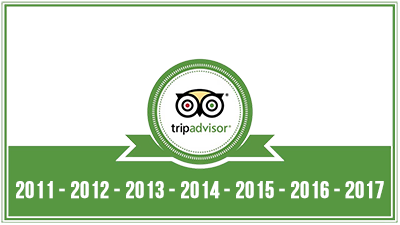 For any place to see above which we do not offer a specific tour/excursion for, there usually will be a tour provider or at least, we can arrange for a driver/guide for you if you wish. Everything is possible. 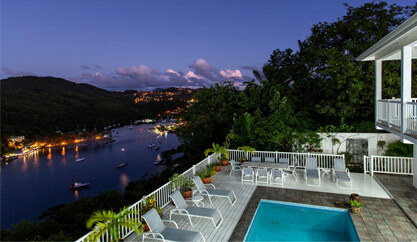 Also see our page on Things to Do in St. Lucia, as well as our private villa rentals across the island.